Never-ending revenue growth or heading for a crash? What does the financial future hold for football? Football finances were back in the news this week; firstly, with a report by a company called Vysyble claiming that football was heading for financial disaster and secondly, a contradictory upbeat article in the Evening Standard trumpeting the fact that London was leading the charge in the game’s unstoppable revenue growth. The Vysyble report, entitled “We’re So Rich It’s Unbelievable! – The Illusion Of Wealth Within Football” uses a very different methodology to most analysis of football accounts by applying a concept known as economic profit. Usually when clubs are ranked according to wealth (i.e. 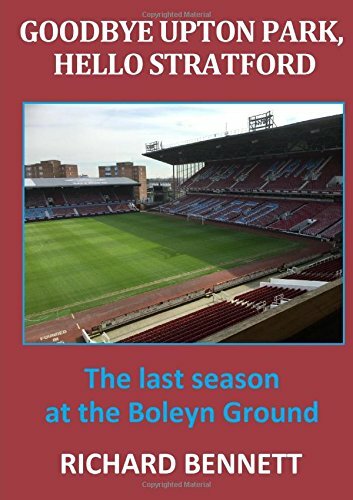 those lists which put West Ham as somewhere between the 14th and 17th richest club in the world) the metric used is typically revenues received, the amount of cash coming in through the turnstiles, broadcasting rights and commercial activities. If profits are ever considered then it is usually based on accounting profit; a simple calculation of revenue less total costs during the appropriate accounting period. In their last financial accounts West Ham showed revenues of £142 m and an operating profit of £31.5 m, a figure that reduced to a modest pre-tax profit £1.2 m once player trading was taken into account. With these accounts relating to the period before the London Stadium move and the new TV deal kicked in then expect these numbers to increase significantly next year. I am no accountant but from what I understand the difference between accounting profit and economic profit is that the latter also factors in costs related to lost opportunity had the capital been invested more wisely elsewhere. For example, could the owners have enjoyed a better return on their money from investing in stocks and bonds, drug smuggling or on the 2:30 at Ascot? To see all of Vysyble’s workings out you have to buy their report but from an image posted online it suggests that only five Premier League clubs made an economic profit in 2015/16 compared to the fourteen that were in the black if using accounting profit. West Ham were ranked midway with a loss of around £5m. The big questions for me, though, is what does this actually mean and does it make sense to attempt to analyse football in the same way that you would a bank or soft drinks company? Some big numbers were highlighted from the report to illustrate how much money had been collectively lost by Premier League clubs over the past eight years but with over half of this down to two clubs, Manchester City and Chelsea, where there is no pretence to operate as a profitable business, it somewhat detracts from the overall conclusion. On the other hand, it is clear that it is the actions of the money-no-object teams like Chelsea and Manchester City that are fuelling player wage inflation and the associated jackpot in agent’s fees. It doesn’t really make a load of sense for clubs to channel most of its new found riches directly into player’s pockets but to compete with the billionaire playthings it is seen as a necessity. It is just a shame that the TV windfall has not been used to make the match-day experience more affordable and pleasurable for those attending games. Ironically, there seems to be no shortage of new investors prepared to get involved in the game; not for any expectation of annual profits but because it is largely an ego trip with the opportunity of an endlessly increasing asset at the end of it. If football really wanted a level playing field then limiting the impact of the billionaire owner is the area that financial fair play should really have addressed rather than entrenching existing inequalities. Expect regulation to be introduced the moment that West Ham get a sugar daddy of their own. Usually, I find accountants, like economists, better at hindsight than insight and although I am not convinced by the Vysyble arguments (or at least what was reported of them) I would agree with another of their conclusions that we will, sooner or later, end up with a European Super League. But I see this happening not as a result of the Premier League hitting a financial wall but because the worldwide broadcasters want it and the bigger clubs will be unable to resist the even greater rewards that this would bring. The worldwide TV audience is massive and even though we may think West Ham versus Everton could be a thriller it holds little attraction for the overseas viewer who would happily watch the same few teams play each other week-in and week-out. It is probably a rather pessimistic view of the future but I do sometimes wonder if the domestic English league would be a far more competitive and exciting spectacle if the mega-rich clubs were off playing their European exhibition games elsewhere. What was once the icing has now become the cake and despite Leicester’s triumph in 2015/16 the current trajectory is for the gap between the bigger clubs and the rest to get even larger in the future. There is no way that a club like West Ham will ever grow organically to challenge for regular European football. Of course none of this doom and gloom is any reason for our owners to keep their hands in their pockets during the next few weeks. Previous Previous post: Is There Any Plan To West Ham’s Transfer Window?